The fifth edition of this book aims to continue to provide those involved in handling shipping disputes with an overview of the key issues relevant to multiple jurisdictions. We have again invited contributions on the law of leading maritime nations, including both major flag states and the countries in which most shipping companies are located. We also include chapters on the law of the major shipbuilding centres and a range of other jurisdictions. As with the previous four editions, we begin with cross-jurisdictional chapters looking at the latest developments in important areas for the shipping industry: competition and regulatory law, sanctions, ocean logistics, piracy, shipbuilding, ports and terminals, marine insurance and environmental issues. We once again feature offshore shipping and look at the key changes in the revised SUPPLYTIME 2017 form, published since our fourth edition. George Eddings advises on all aspects of maritime and offshore energy law, including charter parties, bills of lading and construction contracts. In the past year, George has been running a lively shipping practice, including the tragic loss of a very large bulk carrier. George has also been involved in researching the caseload volume of the main maritime arbitration centres and published a pioneering briefing on this area. George is also part of HFW’s emergency response team, with particular experience in the contractual aspects of general average and issues arising from groundings, collisions, salvage and the carriage of dangerous goods by sea. He has headed teams arbitrating many issues arising from ship and drilling rig construction disputes and has drafted multimodal bills of lading with some of the world’s leading container companies. George has strong industry connections, in particular in South Korea, Japan, Scandinavia and Latin America. 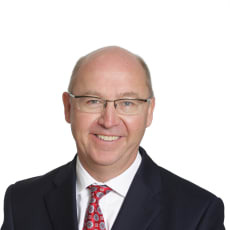 He has regularly been listed as a leading shipping lawyer in Chambers and The Legal 500, with one source citing his ‘excellent reputation’ (The Legal 500 2016). 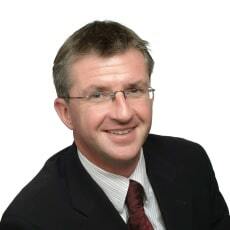 Andrew Chamberlain is a partner at HFW and is the global head of admiralty and crisis management. He is a former Royal Navy officer and specialises in ‘wet’ shipping cases, including salvage and wreck removal (acting for salvors as well as owners and their underwriters), collisions, fire and explosion, total loss and wreck removal. He also advises on both civil and criminal pollution liabilities, marine insurance coverage disputes and the full range of other shipping-related commercial and contractual disputes. Andrew served at sea with the Royal Navy and had a stint with the Hong Kong Squadron before qualifying as a lawyer. As a partner at HFW since 2003, he has been heavily involved in many of the largest casualties of recent years, including MSC Napoli (2007), MSC Chitra (2010), Costa Cocordia (2012), Smart (2013), Norman Atlantic (2014), Eastern Amber and Maersk Seoul (2015), Burgos (2016) and Sanchi and Maersk Honam (both 2018 and ongoing). Andrew lectures regularly on salvage, wreck removal and casualty response and is an acknowledged expert in the field. He has been invited to be chairman of the Lloyd’s Salvage and Wreck Removal conference in London (the leading global industry event) every year since 2013. He is consistently recommended in Chambers and The Legal 500 for his work on shipping and casualty matters, with one source commenting, ‘What he doesn’t know about shipping isn’t worth knowing’ (Chambers 2016). 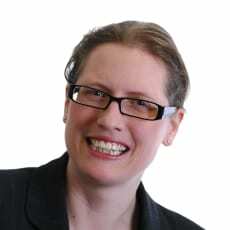 Rebecca Warder is responsible for knowledge management for the HFW shipping group. She produces a variety of client publications, provides training both to clients and to lawyers within the firm and has advised clients on their own knowledge management systems. Rebecca has particular expertise in relation to international arbitration and environmental regulation. She has recently been involved in researching maritime arbitration caseloads at different shipping disputes centres and in writing on this area. Before moving into her professional support lawyer role, Rebecca practised as a senior shipping litigator, advising on a wide variety of multi-jurisdictional and high-value shipping disputes. Her cases primarily involved charter party, bill of lading and shipbuilding and rig-building disputes, although she also advised on marine insurance litigation and on the drafting of dispute resolution clauses. Rebecca worked on international arbitrations, including LCIA, LCIA-DIFC and ICC cases as well as LMAA arbitrations, and has handled both mediations and expert determination.